The Headfort man will face stiff opposition from the likes of former winners Joe Lyons, Rory Leonard and Harry Diamond; Dermot McElroy, Robbie Cannon, Reeve Whitson, Niall Gorey and local man Gary McDermott — to name just a few — with a host of young guns waiting to strike. The cut off fell at 0.0 again while there is also a bumper entry for the Qualifier, which guarantees six players a place in the first round draw on Good Friday with the promise of more in the event of the usual withdrawals. "The entry is beyond our wildest dreams in terms of the Qualifier," said Enda Lonergan, general secretary of the Connacht Branch of the GUI. "We don't clash with the Leinster Youths this year, which led to some withdrawals last year, so we had 290 entries for the Qualifier. "There is a spread of five shots in the field on handicap in the Championship with Lucan's Richie O'Donovan the low man in the field off plus 4.8, which is amazing. And then there is a three shot spread in the Qualifiers. "If we get between three and six withdrawals from the Championship draw, as we usually do, probably nine to 12 players will emerge from the qualifier." TIMESHEET — Championship 36 Hole Strokeplay Qualifying on April 18 & 19, 2014.
Who will win the wide open "West"? 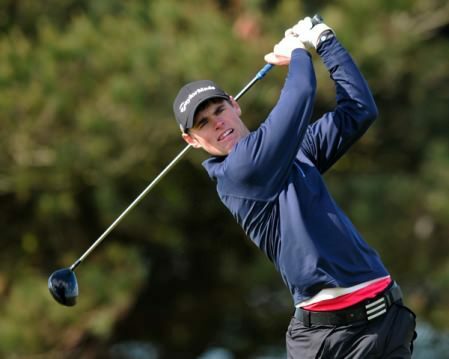 The Radisson Blu sponsored West of Ireland Amateur Open gets underway at County Sligo on Friday. But while the bookies have installed defending champion Rory McNamara as the 10/1 favourite ahead of Ballymena's Dermot McElroy, it looks wide open this year.